Recently, China is in the state of modernisation and urbanisation. The situation in China can be compared to Europe in mid 19th century and the USA in the 20th century. But the modernisation and urbanisation of China comprises serious changes for the lives and mind sets of one billion Chinese farmers – a sixth of the world population in total. That is why this process has significant impact and meaning. Artist Li Dong has a great interest in the inner-city village in the Yuexiu district, Guangzhou. There, he observed people and families in the urban village Dengfeng. He plans to photograph the history of dozens of different families to depict the structure of modern humanism. 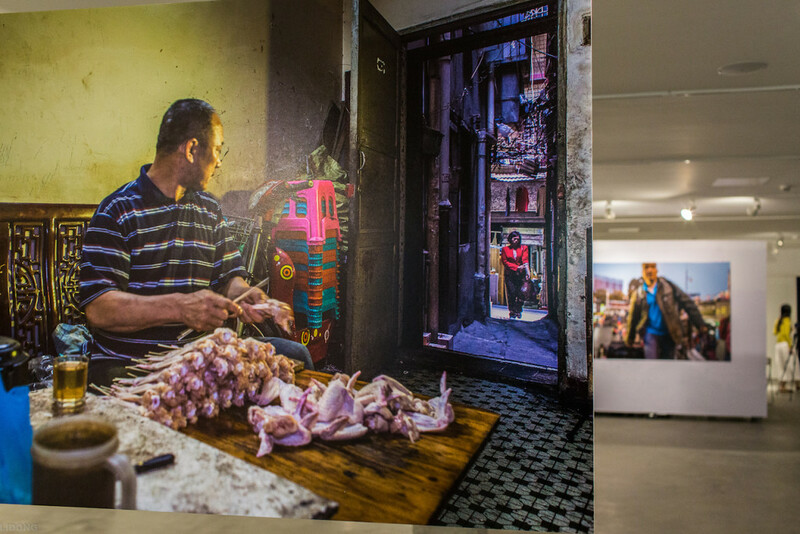 Now, the new exhibition „Not Homeland“ focuses on the social problems of domestic migration against the background of the urban village Dengfeng. Different problems are occurring for the new migrants/residents about identity, mind sets, questions of belonging, home and destination. The camera has observed mainly people living in Dengfeng since a decade. But emotional distress is an issue for most Chinese people in this age of modernisation. It is to be expected that the works in this exhibition kindle a profound discussion about this uncertainty. Where is actually home and what are we fighting for? „Not Homeland“ is the title of Li Dong’s new exhibition. It was shown in Guanghzou from the 11th to 19th of April, 2015. For some impressions of the exhibition, watch a short video about it here. Thanks to Juan Yang, LL.M. for translating the original text in Chinese to German. 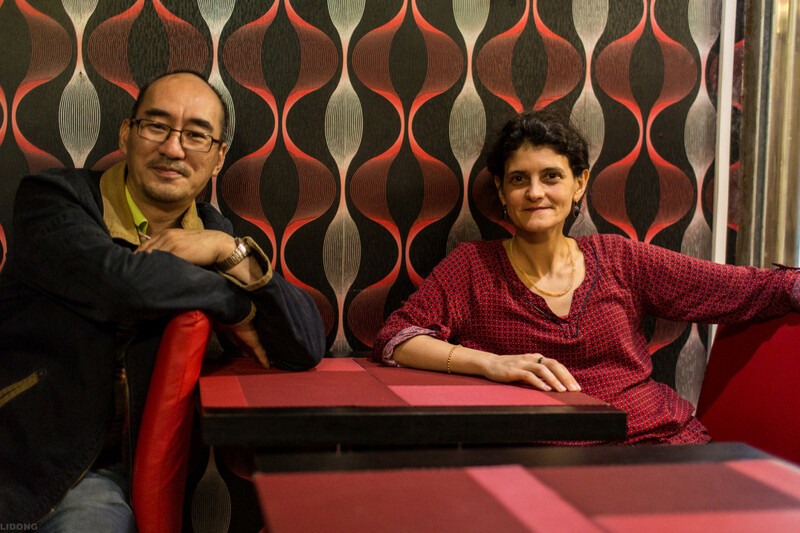 The collaboration between artist Li Dong and Professor Michaela Pelican from the University of Cologne continues. Li Dong and Prof. Michaela Pelican are in touch regularly for the exchange of new ideas and plans. Check our blog regularly for updates on new projects, exhibitions and the work of Li Dong. Until then feel free to download your copy of the exhibition catalogue „Baohan Street: An African Community in Guangzhou. Documentary photographs by Li Dong“ as pdf here. If you have not yet been able to collect your copy of the exhibition catalogue, there is also an online version. The catalogue edited by Jun.-Prof. Michaela Pelican gives more information about the photo exhibition and places the photographs in context with the African community in Guangzhou (China). You find contributions by Li Zhigang, Alexander Demissie, Li Dong, Michaela Pelican, Wang Shaobo and Sévérin Kaji. Visit this link for downloading the pdf. From Cologne, the exhibition moved to Brussels where Li Dong’s photographs were exhibited in the RecyclArt cultural center of Brussels. For more information see RecycleArt’s homepage. Chinese news agency Xinhua published an article in English about the exhibition opening in Brussels. Read the article here. On 13 January 2015 curator Michaela Pelican gave a presentation about the photo exhibition at the University of Mainz. There she had the chance to present again her and Li Dong’s ideas on the photo exhibition „Baohan Street: An African Community in Guangzhou (China)“ as part of a Seminar Series organised by the Department of Anthropology and African Studies, University of Mainz. For further information visit their website here. 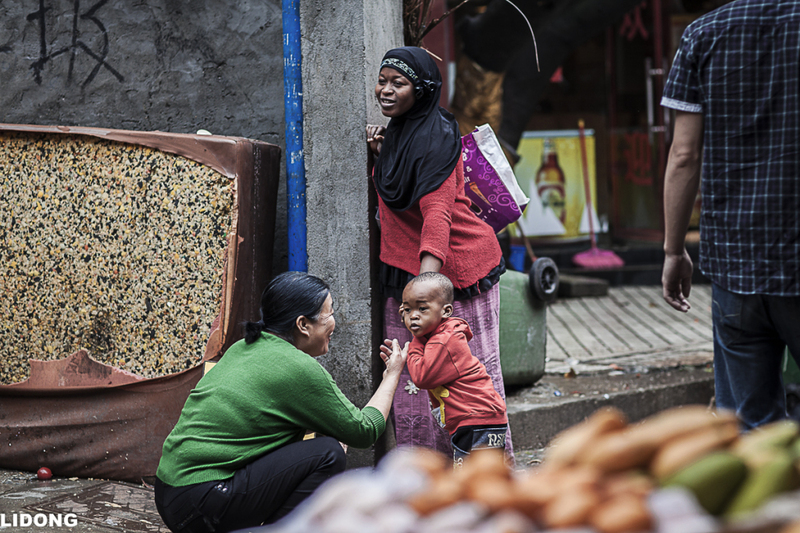 The exhibition month of „Baohan Street: An African Community in Guangzhou“ draws to the close. 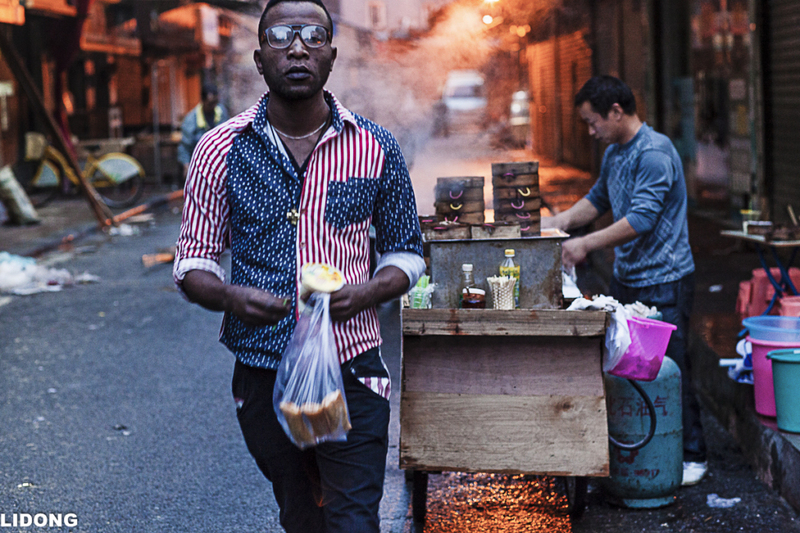 There are still a couple of days left to take a look at Li Dong’s photographs he has taken in the Chinese city Guangzhou featuring the life of African migrants. The exhibition will be open until the 15th of November at the main building of the University of Cologne. Make sure to grab your own copy of the exhibition catalogue available at the Department of Anthropology. The photo exhibition was also featured by journalist Nadina Schwarzbeck for German international broadcaster Deutsche Welle (DW). You can find a German and an English version of the photo reportage on the DW’s homepage. The exhibition catalogue is now available at the Department of Social Anthropology. The catalogue edited by Jun.-Prof. Michaela Pelican gives more information about the photo exhibition and places the photographs in context with the African community in Guangzhou (China). You find contributions by Li Zhigang, Alexander Demissie, Li Dong, Michaela Pelican, Wang Shaobo and Sévérin Kaji. 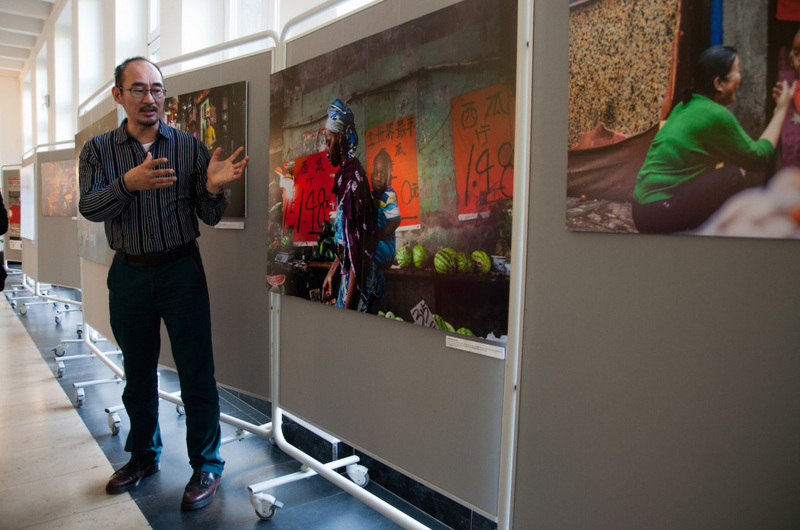 On October 18 photographer Li Dong and curator Michaela Pelican welcomed visitors to a guided tour through the exhibition „Baohan Street: An African Community in Guangzhou“ at the main building of the University of Cologne. We were very pleased about the great interest in the tour with Li Dong and Michaela Pelican speaking about the photographs in detail. You now find photos of the guided tour in our online gallery. For even more insights of the exhibition visit Li Dong’s blog as well as the AFROSO Homepage with an article by panel discussant John Njenga Karugia. You can read the article here. 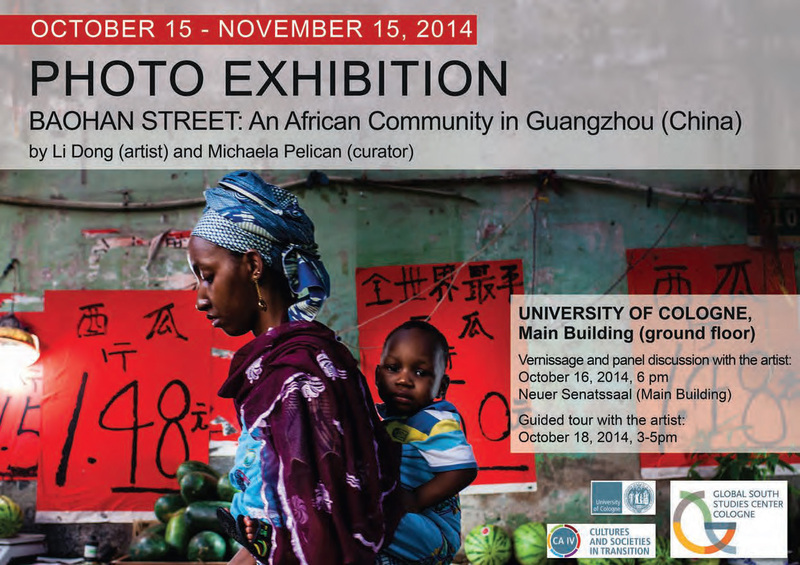 Another activity is coming up accompanying the photo exhibition „Baohan Street: An African Community in Guangzhou“. 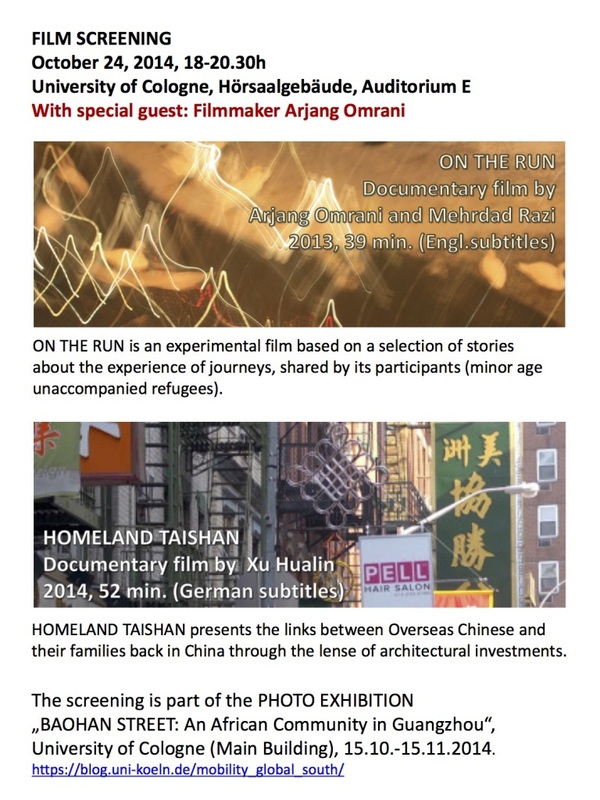 On The Run is an experimental documentary by Iranian filmmakers Arjang Omrani and Mehrdad Razi. Homeland Taishan is a new documentary film by Chinese filmmaker Xu Hualin about the experiences and architectural influences of Chinese overseas migration. Thank you very much to all discussants and participants of yesterday’s vernissage and panel discussion that framed the opening of the photo exhibition „Baohan Street: An African Community in Guangzhou“ in Cologne. For us it was a complete success and a wonderful evening. Here you can find some impressions of the panel discussion. We would like to invite you to the guided tour by the photographer Li Dong on Saturday afternoon, October 18, from 3-5 pm. Li Dong will give his insights about his photographs and it is another chance to speak with the artist. The guided tour will take place at the ground floor in the main building of the University of Cologne. The entrance is free. If you haven’t had a chance to have a look at the exhibition yourself or if you want to recap your experiences, you can now listen online to an interview with curator Jun.-Prof. Michaela Pelican and a radio feature featuring the artist Li Dong and Michaela Pelican on German public radio. DRadio Wissen: Afrotown in Guangzhou – Gespräch mit Michaela Pelican. 06:35 Minutes. By Grit Eggerichs. Deutschlandfunk: Chocolate City – Fotoausstellung über Ghuangzhous schwarzes Viertel. 03:58 Minutes. By Markus Dichmann. 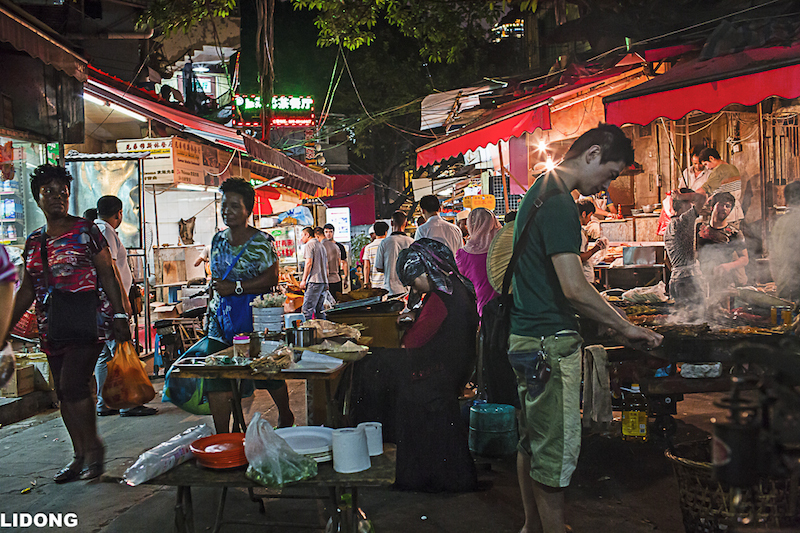 Over the past two decades, the People’s Republic of China has become a new and attractive destination for migrants from all over the world, including Africa. 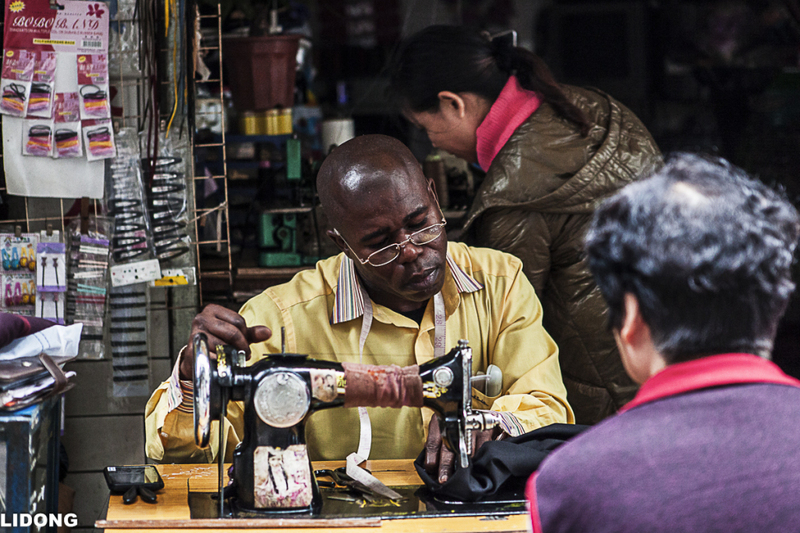 The city of Guangzhou, with its long history of international trade, has attracted between 200,000 and 500,000 Africans, primarily to do business. 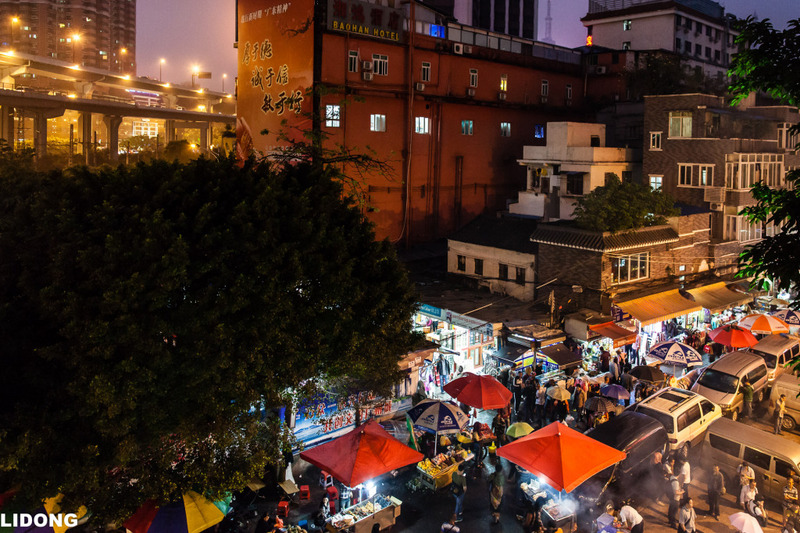 A famous ‘African Street’, named Baohan Street, has emerged in Yuexiu District, one of the oldest districts of Guangzhou. The daily lives of Africans who make themselves at home in Baohan Street have been documented by the photographer Li Dong for over two years. Li Dong has been interested in the striking social and economic transformations in China’s recent history, and the emergence of migrant communities as the ‘new Guangzhou residents’. A selection of his works will be exhibited in the Main Building of the University of Cologne from October 15 to November 15, 2014. The official opening event of the photo exhibition will take place on October 16, 2014. The artist will be present at the vernissage and panel discussion.